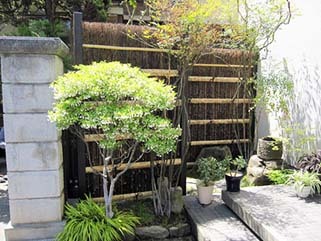 Willow twig fences makes for a great rustic privacy fence. The tightly woven willow twigs provide secured screening for your property as well as provide total privacy. The rust proof galvanized wire will hold the fence together for a long time, preventing deterioration of the wires. The fence is a about 1" thick.. This fence will provide good privacy no other fences in the market can. Compare and shop! The willow we use are naturally grown so there may be a slight color tone differentiation in our fences, but in time should age to an even, lighter, color tone. Many sizes are available. Comes in 8' long rolled form, height comes in 8', 6', 4' and 3'. You can install the fence easily by securing the fence to any support or existing structures like chain link fences with the galvanized wire. 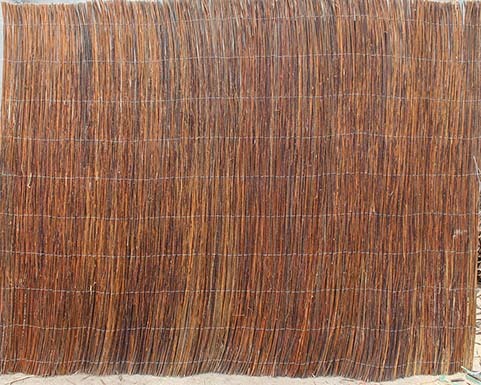 Since they are woven with flexible nylon coated wire, you can install them over irregular curving patterns and uneven landscapes. We encourage our customers to use cedar posts and stringers to install any rolled fences. Need help on installing our willow twig fence? Click on Installing Rolled Fences. We also provide bamboo caps to add on to the fences for a finished look. 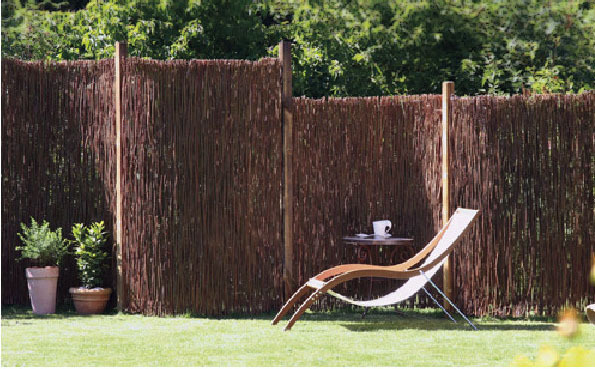 These natural-looking willow twig fences will blend right into your garden. 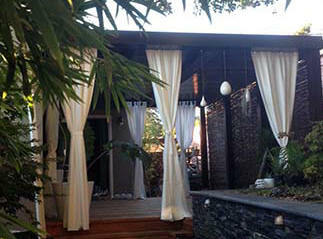 Provides complete privacy for your home. We are the only company in the market to offer black nylon coated galvanized wire to prevent rusting, improving the look of our willow fences. Easy installation, simply wire to a chain-link fence or attach to fence posts. Excellent for irregular and uneven landscape. Natural material, rapidly renewable resources. 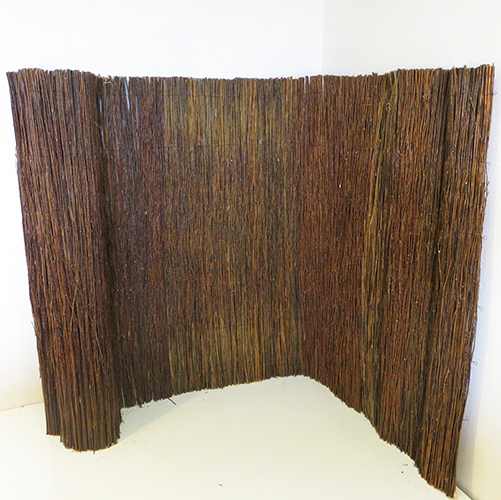 It is made of a wall of 1" thickness of willow twig material. $78.97 + shipping, Due to the size and weight of the fence, shipping could be high, if you are ordering more than 8 rolls please contact us for discounted freight shipping. $52.41 + shipping, Due to the size and weight of the fence, shipping could be high, if you are ordering more than 8 rolls please contact us for discounted freight shipping. $43.87 + shipping, Due to the size and weight of the fence, shipping could be high, if you are ordering more than 8 rolls please contact us for discounted freight shipping. Send mail to here with questions or comments about this web site.